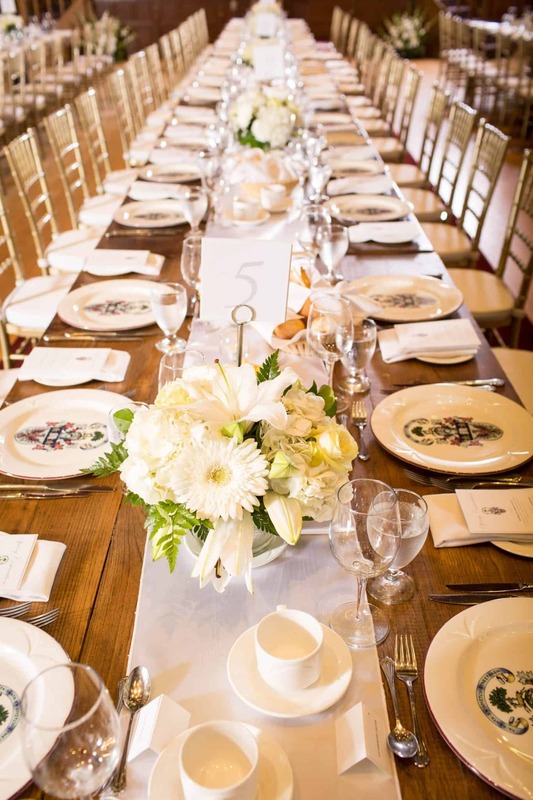 5 Reasons Why We're Different | Special Event Rentals / Party Rentals Inc.
Special Event Rentals has been in the events rental business for over 25 years now, with no signs of slowing down. In fact, each year of business has brought us more clients, larger events and an arsenal of inventory so that we’re able to provide everything from napkins to massive tents for any event. Here are just a few reasons why we have remained one of the GTA’s number one rental companies. Having a small at-home event for just a few people? No problem! 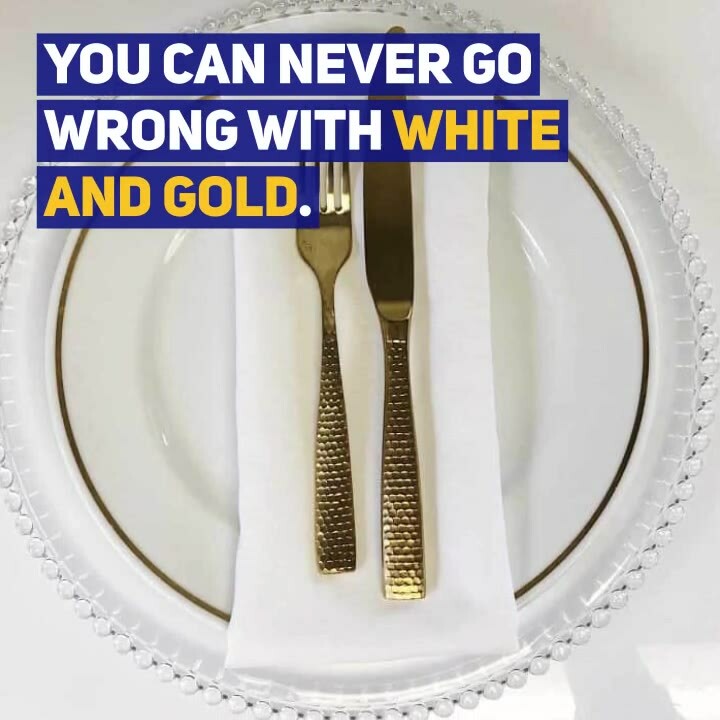 We take clients around our showroom daily, who are looking for only 1-2 tables of décor and accessories but don’t want to use their same old stuff. We can help customize your table settings for dinner parties, holidays, birthdays – you name it! Nothing is ever too small. On the other hand, we also have the inventory to support large events for 500+ people. Take the Canadian Open, for example. We’ve been supplying, tents, tables, chairs, linens – basically, the works for this huge yearly golf tournament for many years now. We’re one of the only rental companies that offers 24hr service. Meaning, in the unlikely event you have any problems or questions with the rentals we have provided, you can call the office anytime, during office hours or after hours, and be promoted to one of our on call staff who can help you out, regardless of the day or time. 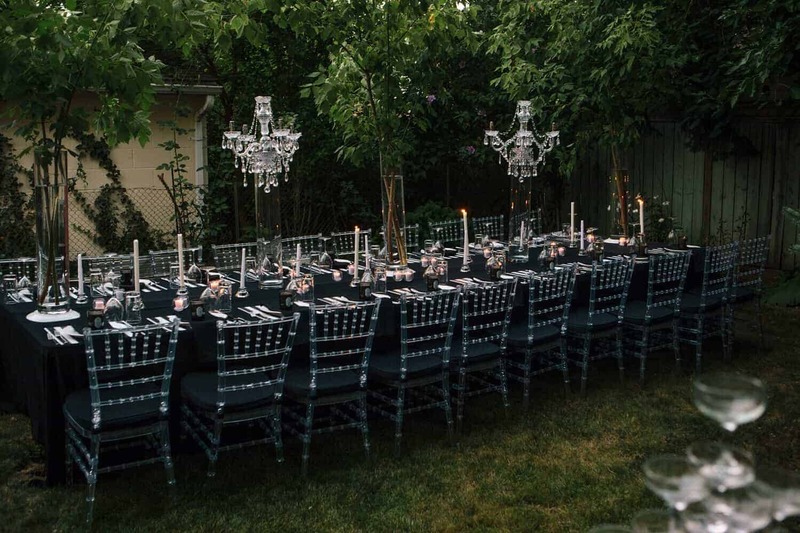 We know how stressful planning and hosting events can be, for both professionals and DIY-ers. So, we’d love to relieve some of that stress for you! We understand that vendors can sometimes fall through at the last moment, for a variety of reasons. We’ve dealt with many unforeseen circumstances, so we can help with damage control. In fact, we’ve helped complete large-scale events within only a few days for some last-minute clients. Sometimes, when you’re renting furniture, chairs or even glassware, there can be uncertainty when it comes to the quality of the products you’re receiving. We maintain our products by replacing them often and inspecting them upon each return. In addition, our staff thoroughly clean all of our products prior to delivery, and neatly package all orders so that nothing gets damaged or dirty during transport. If you’re renting a tent for your wedding or any upcoming event, it can be difficult to envision the set-up. We can help with that! We will come to your home or venue location to do an on-site review of the property, so we’re able to recommend the best possible layout based on your requirements. 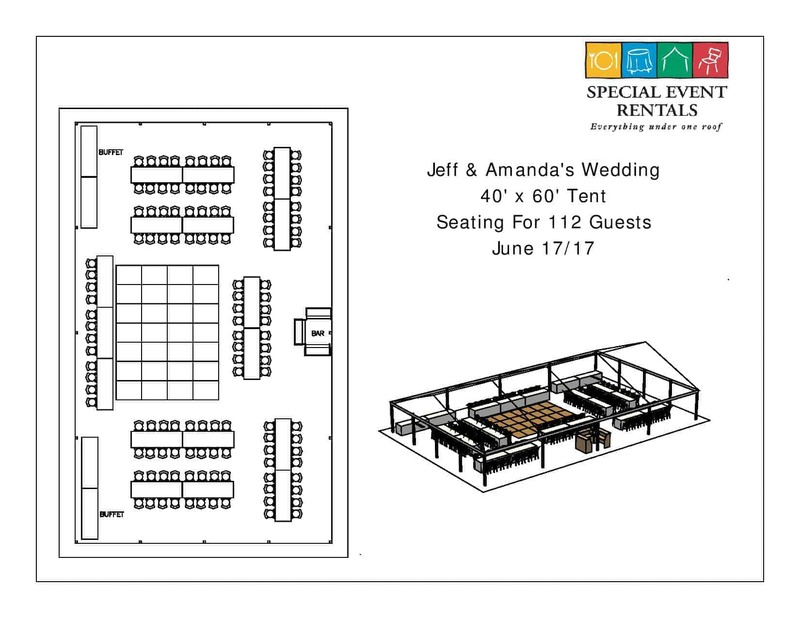 Following our appointment we will create a custom CAD Layout, so you’ll be able to see what the set-up will look like on your property or at your venue. Take a look at this layout below from a wedding we did this past June! Subscribe to our mailing list below to be the first to hear about our new products!